dream houses. Rhonda Williams 831.236.5463 | 831.402.2076 Judy Tollner williamsandtollner.com W H AT ' S G O O D I N C A R M E L R E A L E S TAT E DRE#00432364 | DRE#01830671 Point Lobos Ridge Estates... 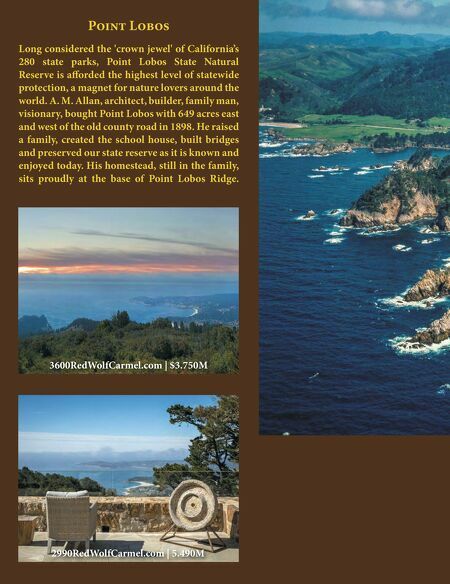 Above Point Lobos, this is the best kept 'gated community' secret on the Monterey Peninsula. 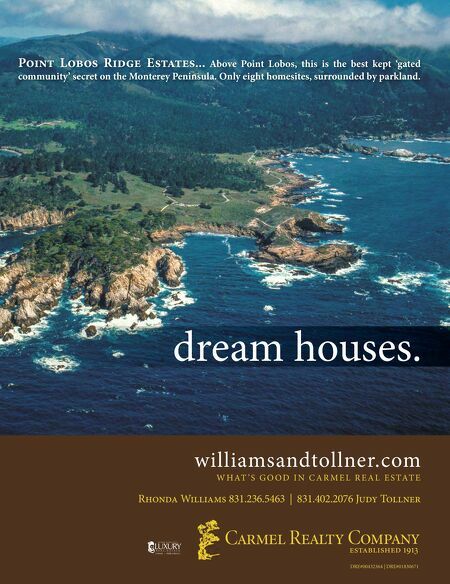 Only eight homesites, surrounded by parkland.